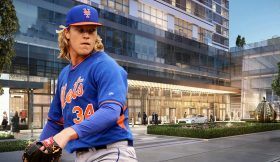 Not only do the Mets have a winning record on the field to star the season, but their star pitcher Noah Syndergaard is racking up the runs when it comes to real estate. 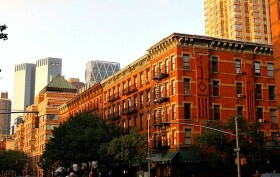 Last year, he rented at Midtown’s swanky MiMA tower, and now Curbed reports that he’s spending this season just a few blocks west on 42nd Street at the pro athlete-filled Sky, the largest rental in NYC. Not only does fellow Mets pitcher A.J. 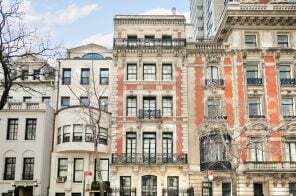 Ramos live there, but so do Knicks stars Kristaps Porzingis and Sasha Vujacic. 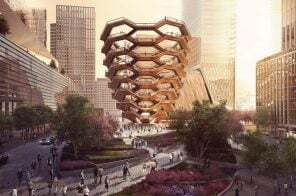 Plus, the building has a Carmelo Anthony-designed NBA regulation-sized basketball court and 70,000-square-foot recreation facility. 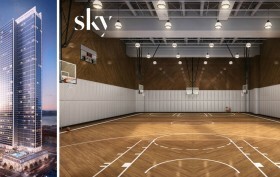 Thanks to the building’s Carmelo Anthony-designed NBA regulation-sized basketball court and 70,000-square-foot recreation facility, Midtown West’s swanky Sky rental has been attracting pro athletes since it opened under the Moinian Group in 2015. 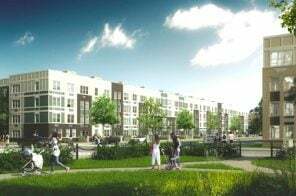 Current residents include the Knicks’ Kristaps Porzingis and Sasha Vujacic and Met pitcher A.J. Ramos. 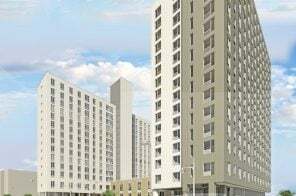 And now the 60-story glass slab tower at 605 West 42nd Street is offering 166 low- and middle-income units through the city’s affordable housing lottery. 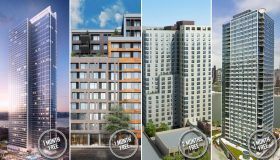 Available to New Yorkers earning 40 or 120 of the area median income, the apartments range from $613/month studios to $2,520/month two-bedrooms. 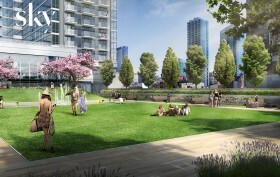 Comparatively, market-rate listings in the building range from $2,982/month studios to $4,260/month two-bedrooms. 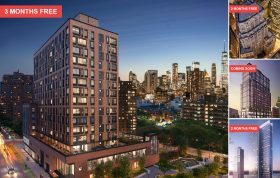 Back in July, 6sqft reported that Knicks star Kristaps Porzingis was renting out an $8,000/month penthouse at Midtown West‘s amenity-filled Sky, as well as renting out two more high-floor units for his brothers Martins and Janis. 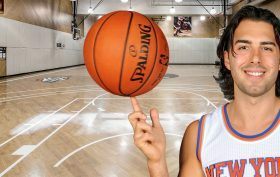 Perhaps due to the building’s Carmelo Anthony-designed NBA regulation-sized basketball court, another player for the team has followed suite; the Post brings news today that shooting guard Sasha Vujacic is living in an $8,200/month pad at the glassy slab tower, and he and Porzingis have been spotting shooting hoops together here. 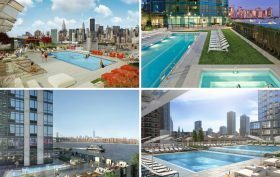 Knicks star Kristaps Porzingis recently rented out an $8,000 a month penthouse at Midtown West‘s amenity-rich Sky. 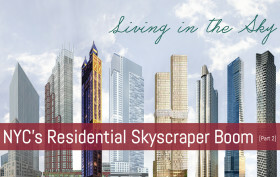 Located at 605 West 42nd Street, the glassy slab tower affords the 7-foot-3-inch Latvian player with a Carmelo Anthony-designed NBA regulation-sized basketball court, which is part of a 70,000-square-foot recreation facility that also boasts gyms, three pools, a café, yoga and cycling studios, billiards lounge, and a spa. 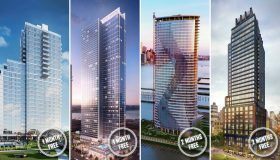 As the Post tells us, “Godzingis” also rented out another two high-floor units for his brothers Martins and Janis.